Pure K9 premium optic crystal award. 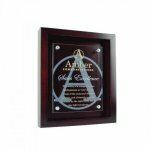 Recognize your employees with a stylish crystal award without breaking your budget. Available in blue and green. The Serenity Award is a Crystal D exclusive design that reflects the strength, accomplishment and wisdom of great leaders. 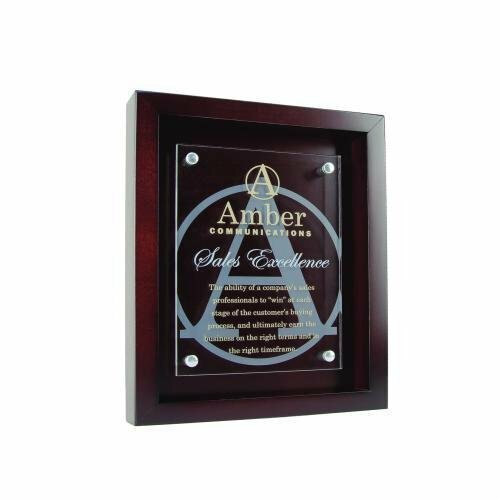 Rosewood frame and backer with raised acrylic gives dimension to your message. Full color imprint on the acrylic. Available in maple, rosewood, walnut, cherry and black. 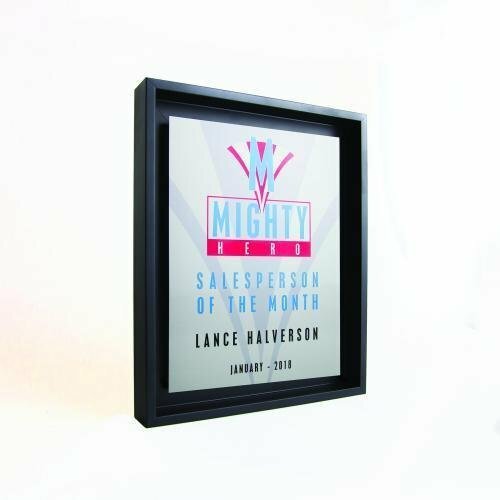 Frame your success with this bold, modern shadow box. A full color digital imprint plate is enclosed in a wood shadow box frame. The Shasta Peak stone award symbolizes the climb to success. Each award includes two imprint areas and two imprint colors. Shell is part of the Chien J. Wang Collection designed by international designer Chien J. Wang. From the 2013 PCH Collection, this is Chien's version of the sea shell in optic crystal. This bold, shell shaped plaque is a crowd favorite. Sheridan is part of the Chien J. Wang Collection designed by international designer Chien J. Wang. Mixing black crystal with white stone and using two engraving panels, Chien is able to achieve a beautiful modern look with clean lines. 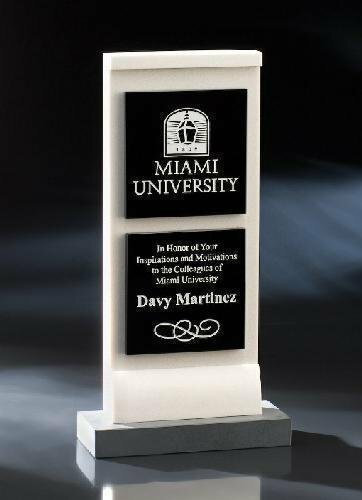 Using white color fill is the perfect finishing touch to bring out the beauty in this mixed media award.